today for Woeful Wednesday! 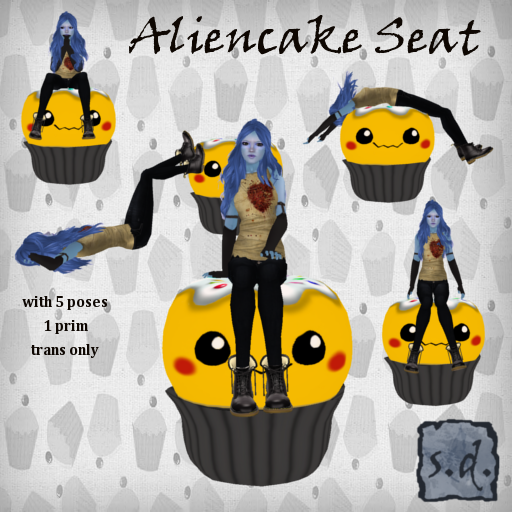 another cute little cupcake seat that is only 1 prim and (hopefully) will always put a smile on your face! and also new in the shop, something that is really generating a buzz! 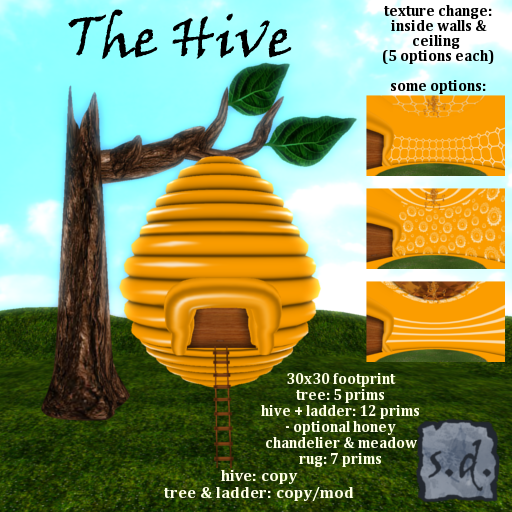 it’s a giant beehive house!! it includes this handy ladder so that you can climb in with ease, in case you don’t have wings or you have friends who are wingless. there are 5 different wall designs to choose from and 5 different ceilings. simply click on either and a menu will drop down with your choices. and don’t forget that the 30th is the last day for the Creature Feature Hunt! that’s all for today! you can find this stuff at my main store here on Lloyd. taken inside Turnip’s Spring Skydome! ~ by kalliopekat on June 29, 2011.